Hanoi — the land of lakes, noodles, and motorbikes, became my third home (following Bicol and Metro Manila) after I decided to base myself there from 2016 to 2017. It was part of my first long-term trip around Southeast Asia. This was also the place that taught me never to take a hot shower in a suburban house abandoned for at least two months if I cared about my life at all (read this story to understand what I mean). Almost three years later, I found myself back in the city for a short visit. Save for newly constructed flyovers and Grab motorbikes now dominating the streets, nothing in the city seemed to have changed. I might have forgotten a few Vietnamese phrases, but when it came down to traversing its jam-packed streets on my own, I was still on top of my game. (Try searching ‘Hanoi traffic’ on Google Images to see how important this is). On that note, I figured it’s about time I shared some life-saving knowledge about travelling in this city. Aside from the usual travel skills, here are a few more tips to help you survive Hanoi, Vietnam’s fast-growing capital. As a kid, you were probably taught to always look both ways before crossing any street in the Philippines. While our country and Vietnam do follow the same traffic system, the roads in Hanoi can get especially chaotic during crucial times of the day. Unless there’s a police officer nearby (which is not likely), motorists end up in just about every direction. To save you from getting struck by Hanoi’s everyday motorbikes, cars, and buses, the first rule is this: DO NOT hesitate. Raise your hand towards the direction of the vehicles passing by and look straight ahead. These vehicles will eventually slow down to let you pass, albeit for just a few seconds. The more you pause in the middle of the road, the harder it is to make it all the way to the other side. This works in both small streets and main roads. Footbridges aren’t popular in the city, so you’ll either have to learn this skill, or avoid walking around too much altogether. 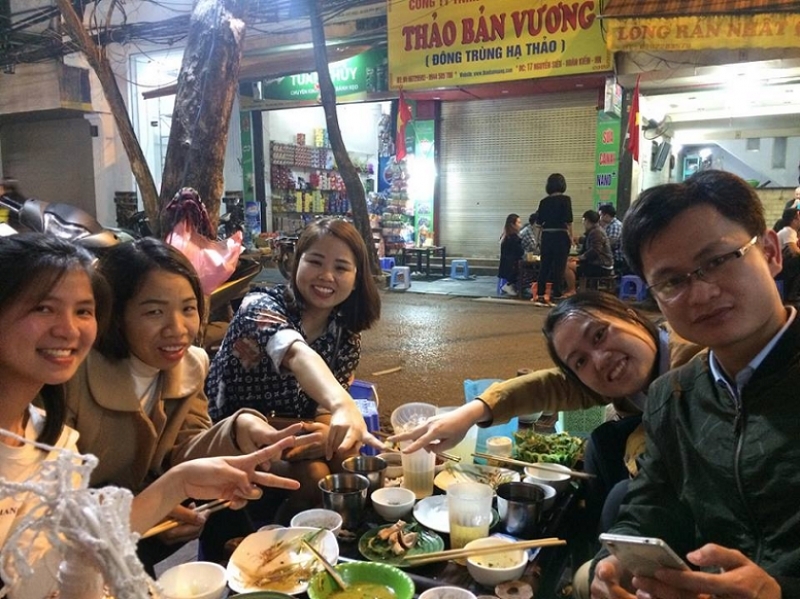 Here are some commonly used phrases that will come in handy when you are in Hanoi: “Xin chao” (pronounced “seen chow”), for greeting someone; “anh uy” (pronounced “ayng uy”) or “chi uy” (pronounced “chee uy”), for getting someone’s attention (used for men and women, respectively); and “cam on” (pronounced “kam oon”), for thanking anyone. When dealing with locals while riding public transportation or visiting local shops, you can say “khong Vietnamese” or “khong Vietnam” (pronounced “kawng”) to say you don’t speak Vietnamese. This will be really helpful in case their first instinct is to speak to you in their language. Filipinos are often mistaken for locals when in Hanoi, given our similarities in facial features! As for pronouncing people or street names, take extra caution. Like some languages in Europe, different pronunciations of the same word can mean completely different things. Let’s take the address of my Airbnb, for example — Au Co Street. On my first day back in Hanoi, I’d been pronouncing it as “aw ko.” In fact, it’s pronounced “a-kaw” (as in “agaw” with a ‘k’). Would you have guessed that on your first visit? Also, since Vietnam is the land of noodles, I ought to teach you exactly how “pho” (the country’s famous rice noodle soup) is pronounced. It’s “fa”, as in the note. Not “fo”, which means ‘street’ in the local language. And make sure to watch out for the various intonations used — Vietnam is one country where those little lines on top of letters actually matter! When I lived here, I made it my goal to learn how to ride a motorbike. In my mind, if I could survive navigating Vietnamese roads on a bike, then I could certainly conquer any road in the world. However, it was trickier than anything I’d expected. As a passenger on a bike, I often had to endure minor collisions, or one of my feet getting caught in random objects on the street, among other things. Similar to what your mother probably tells you when riding a jeepney: In Hanoi, keep those arms, legs and, most importantly, your head out of the way at all times. Riders in this city can be reckless, just like in Manila. This is why I often turn to buses. Aside from being a cheaper transportation option (regular fare is fixed at ₫7,000 or ₱15 per way), most buses are equipped with Wi-Fi and air conditioning. Be warned, though — majority of the bus conductors don’t speak a word of English. Until you’re confident you can speak fluent Vietnamese with them, remain silent and just hand over your fare. If they end up talking to you anyway, remember to say “khong Vietnamese” or “khong Vietnam”! Just like many of us Filipinos aren’t accustomed to using a knife and fork together when eating, a lot of the Vietnamese locals I know don’t know how to use a typical spoon and fork. Usually, small-scale restaurants in the city have nothing to offer you except a pair of plastic chopsticks and a large silver spoon for drinking soup. Try to ask for a wooden pair of chopsticks instead — they’ll do a much better job of holding your food (especially your noodles)! In addition, the condiments you’ll see on most tables are comprised of chilli sauce and fish sauce. Since Filipinos are used to strong flavours, these might come in handy when savouring your bowl of noodles and other dishes. I just learned this during my recent visit: Every night at about 9pm local time (Vietnam is an hour behind the Philippines), a group of police officers on a truck does a raid in some parts of Hoan Kiem (the city’s main tourist area), reprimanding anyone caught eating and drinking on the sidewalk. This may seem normal for other nationalities, but considering it’s Hanoi, where pavement kitchens are pretty popular (they’re the most inexpensive places to eat), it’s rather sketchy. I was then told that, like some of our traffic enforcers in Manila, these officers often scare people into paying steep fees. My friends’ tip? Just leave the place temporarily. Anyhow, they won’t bother you once they find out you’re not a local! That issue aside, when you find yourself at one of these kitchens, make sure to order a glass of lemon tea and a small plate of sunflower seeds. This is how the locals spend a pre- or post-meal get-together out in the town. Oftentimes, I wouldn’t advise staying right in the tourist centre of any major city. They’re usually the dirtiest, noisiest, and least affordable. 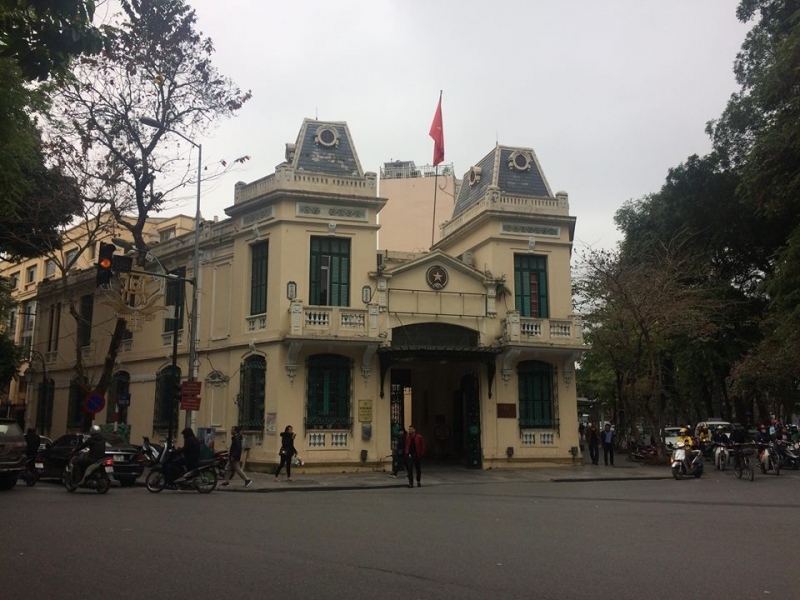 But in Hanoi, you’ll discover that it’s quite necessary to stay in Hoan Kiem because there are areas that do defy the norm. 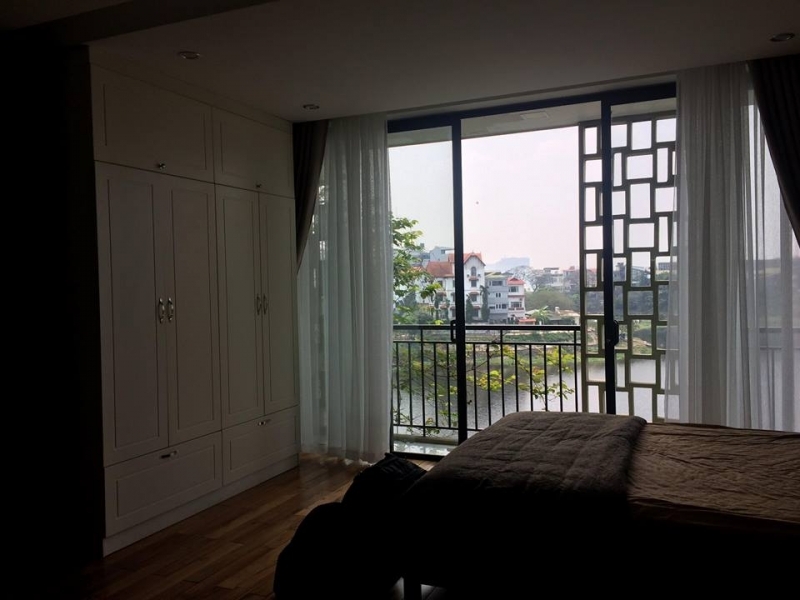 For my first seven nights back in the city, I decided to book an Airbnb approximately six kilometres away from Hoan Kiem. I thought it was a great idea… until the weekend came. I’d forgotten that many of the streets surrounding Hoan Kiem close from Friday to Sunday. This meant I had to cancel multiple Grab bookings because the riders couldn’t go anywhere near my location. 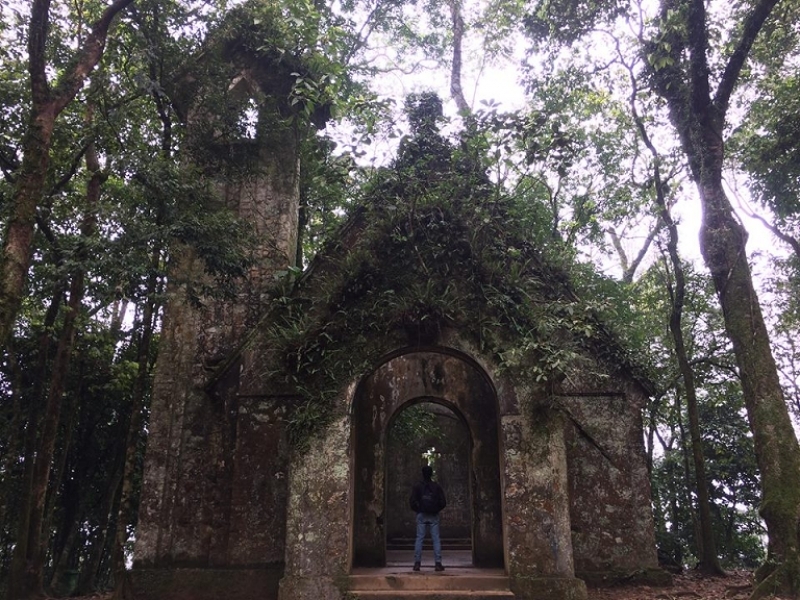 Since I didn’t have a local sim or portable Wi-Fi device, I had to stay where I was to remain connected. One time, I just gave up and took the bus. This ended up being an even worse decision because the nearest stop was about a 15-minute walk away, and involved crossing one of Hanoi’s busiest roads. 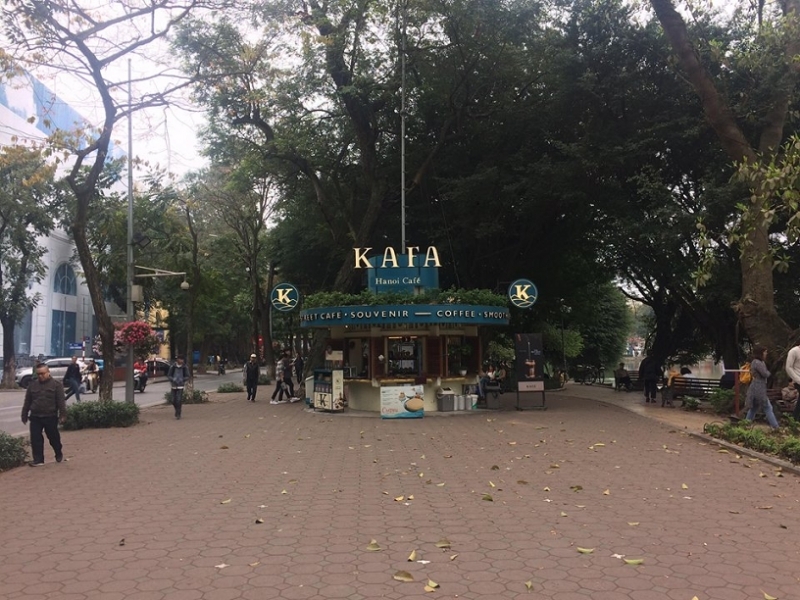 That said, it’s still best to book a place within Hoan Kiem. You’ll find hotels, hostels, and even Airbnbs located farther away from the noise, yet still easily accessible (search Annie’s Little House on Airbnb, I highly recommend it!). Exclusively on weekends, a massive market selling discounted items opens along Hang Dao Street. It’s ideal for buying souvenirs! Plus, you can watch various street performances, and even join street games around Hoan Kiem Lake during this time. Bikes are the main mode of transportation in Hanoi, and you’ll find them everywhere. In Hoan Kiem, you can even randomly tap any rider on the side of streets and ask him to take you on a paid tour around the city. I did this once, when I was desperate to go to a place called Ba Vi National Park, and none of the travel agencies I went to had tours going there. I tried finding one online, but it was too late. Take note that almost anywhere you go in Hoan Kiem, the travel agencies only offer tour packages to the following places: Halong, Cat Ba, Sapa, Mai Chau, Perfume Pagoda, Ban Gioc, Ba Be, Tam Coc, Trang An, and Hoa Lu. Sometimes, you’ll find ones that provide multi-day tours to faraway cities like Hue and Da Nang. If your intended destination isn’t one of these, it’s best to plan your trip by yourself. 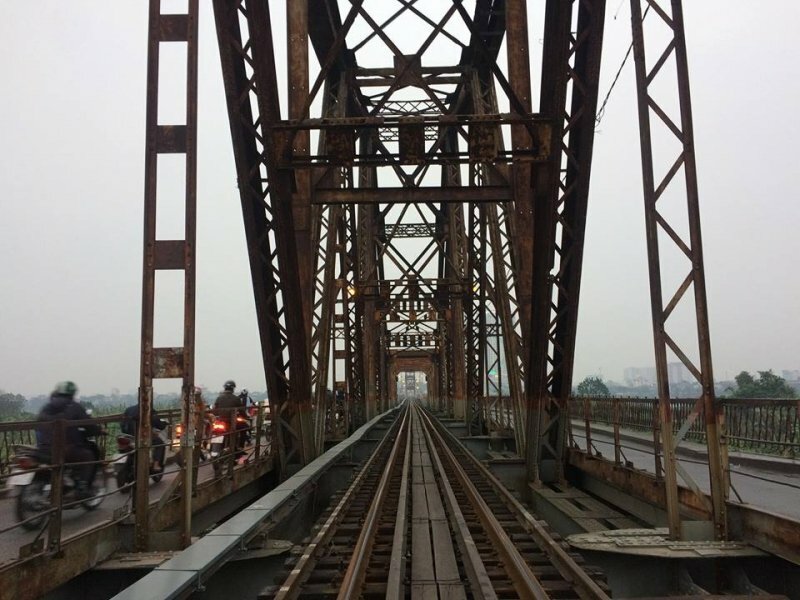 If you plan to simply stay in the city, my personal recommendations for sightseeing are Long Bien Bridge (designed by the same personalities behind Eiffel Tower), West Lake, and the Ho Chi Minh Mausoleum. Like Khao San Road in Bangkok and General Luna in Siargao, Hanoi is often packed left and right with tourists who aren’t afraid of having a great time. 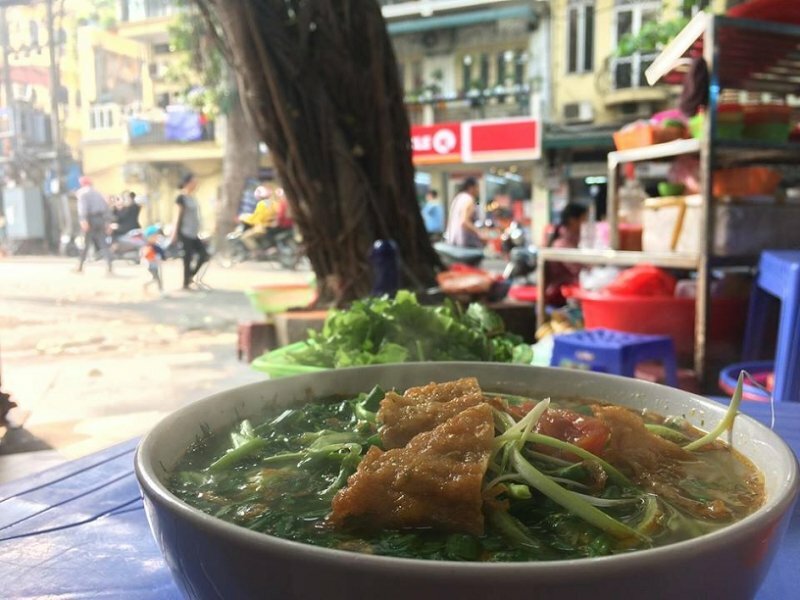 Apart from pavement kitchens, the city has its own beer street where you can sample the famous Bia Hanoi or Bia Saigon while enjoying the company of fellow travellers. Unless you’re already travelling with a group, you might want to invite a few more friends before coming here because the servings (and prices) are usually ideal for group sharing. 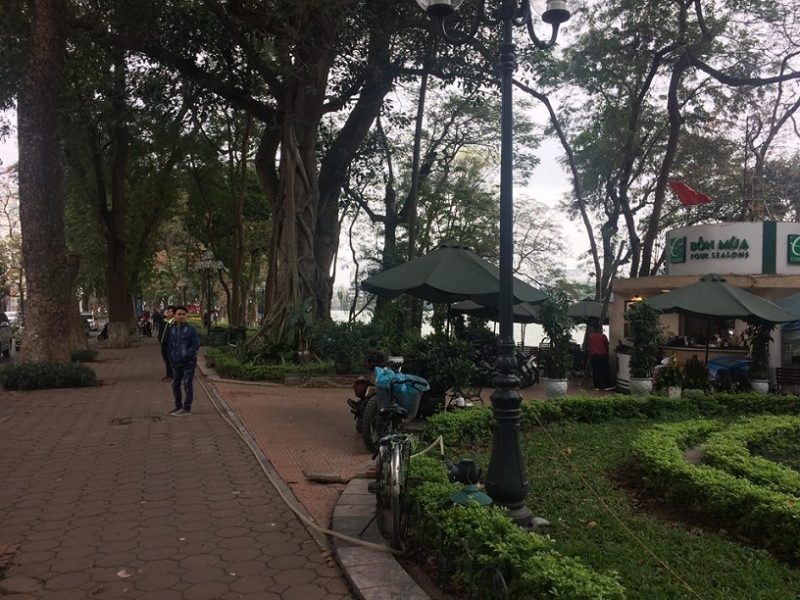 If you’re not into this kind of “socialising”, make sure to spend at least one afternoon or evening strolling around Hoan Kiem Lake. Crowds of local students usually gather around these times to practise the English language with other nationalities. They’ll even invite you for a meal nearby if you show enough interest in helping them. I still think it’s the easiest way to make friends with the Vietnamese! Unlike Ho Chi Minh, Hanoi experiences all four seasons. When I came here for the first time, I didn’t expect my stay to last for more than a month. When winter came, my local friends had to help me shop for a coat, a pair of earmuffs, and even gloves so I could stay warm. The average minimum temperature during the winter is 17℃ (I could’ve sworn it was colder than this when I was here), while summer season experiences an average of 32℃. The cold is even worse in other places in Northern Vietnam — it even snows in Sapa from time to time! As a whole, the coldest months in this side of the country are from January to March. Other than clothes, you can keep yourself warm by regularly having rice noodle soup and Vietnamese coffee (egg coffee is a must-try!). They’re found almost anywhere in the city. As long as you have your proper outfit on, this is also the best time to go cafe-hopping in Hanoi. I must say, their coffee shops are local attractions themselves! If you’re a fan of flowers, Hanoi hosts its own Flower Festival during the month of December. You can see colourful flower fields around Hoan Kiem Lake, and even enormous flower statues! Meanwhile, around January and February, the Vietnamese celebrate their version of Chinese New Year called Tet Holiday. Expect the traffic to be much more forgiving around this time. However, many of the shops in the city are closed for roughly a week. I suggest you go shopping for food and drinks in advance in case you have trouble finding a place to eat — that is, if you choose to visit during this season. With Hanoi being a developing city, I was surprised to find out that the Internet connection in the city is rather decent (even better than in Manila). Get this, the smallest restaurants and shops sometimes have free and unlimited Wi-Fi! The Vietnamese are also pretty lax when it comes to passwords, if there are any. Once, I learned that it’s common for establishments to use codes like “12345678” (try this when you’re in front of Conifer Cafe at Cau Go Street), or “66668888”. I decided to try it at a random restaurant, and it actually worked! 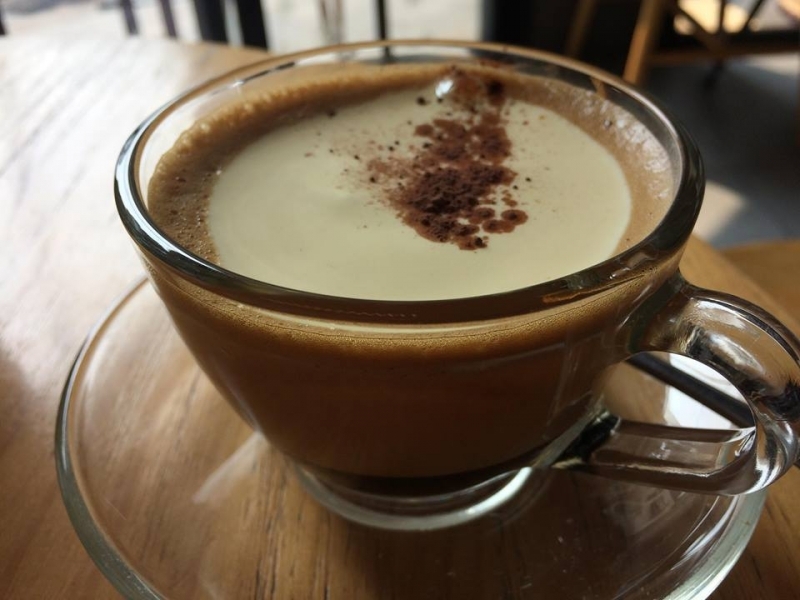 Thanks to the abundance of coffee shops and Wi-Fi, it’s safe to say that Hanoi is a great place for visiting digital nomads and travellers who want to embrace the cafe culture of Vietnam. If you’re a fan of French architecture, you get an added treat of having endless photo opportunities inside and in front of their coffee shops, too! With these insights, I sure hope you’re ready to explore more of Vietnam, particularly its capital, Hanoi. It’s a bustling and vibrant city teeming with culinary and cultural wonders, ever energetic streets, and some of the most passionate people there are. It’s also the city where I got my share of life-altering experiences that remain relevant to me up to this day. I now dare you to make your own — while putting these tips into practise!